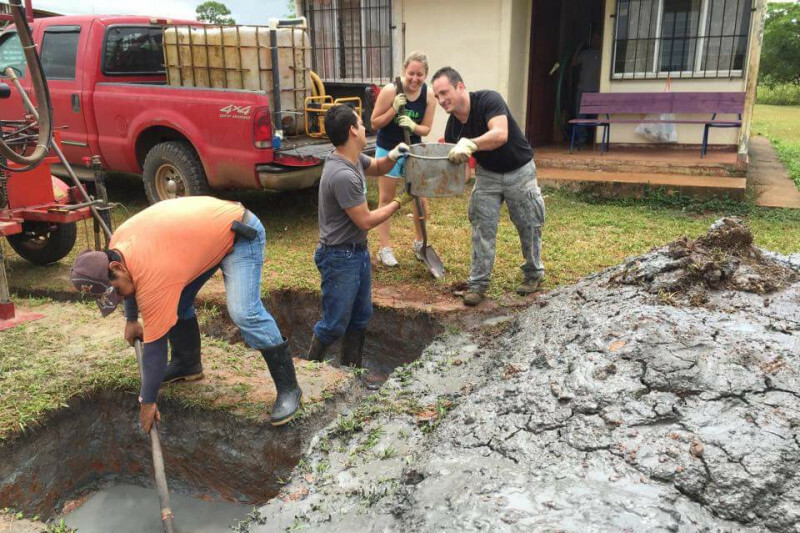 As many of you know, in the summer of 2015, I was blessed to go on my first mission trip to Los Chiles, Costa Rica where my team and I worked with Agua Viva Serves to dig wells, build houses, teach English, and make friends with the people in the northern villages near the Nicaragua border. That trip still stands today as one of the best things I've done in my life and I promised the people I met and made friends with that one day I would come back - that I wouldn't be that gringo missionary who goes to a place to feel good about himself, takes a few pictures, then never returns. I want to fulfill that promise this year, however, I need help this time. The mission trip costs $1,500; an amount I was able to write a check for back in 2015, but not so much this time. Please donate what ever you can, or at least share this on your social media platforms. Not only will you help me fulfill the promise I made that summer, but you will help kind, grateful people in a less fortunate place have clean drinking water, a higher survivability rate, and a chance to thrive. Even $1 will make a difference in someone's life. ***If I don't meet enough of the $1,500 goal, I will donate whatever is raised here to Agua Viva Serves so they can continue providing their very essential services to the Costa Rican people. Thanks to each and every one of you who donated to my campaign. Between this and my fundraising outside GoFundMe, I've managed to raise all the funds I need for this trip and then some. The remainder will go to any of my teammates that still need to meet their goal, or to Agua Viva Serves. Thanks again to all of you. Individual thanks and written works are coming.